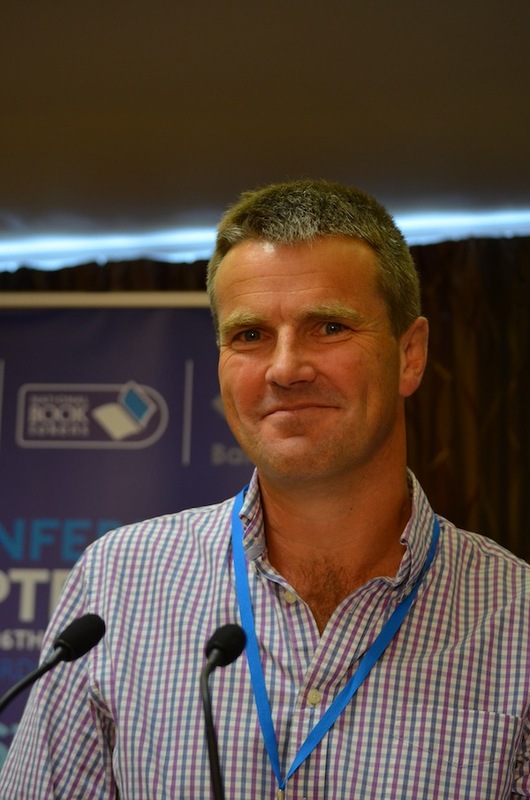 Booksellers Association president Patrick Neale says selling e-books is a matter of survival. WARWICK: Independent booksellers in the UK remain cautious about the entry into digital bookselling, not because they are old-fashioned or have their head in the sand — such criticisms, if they were ever true, are long out of date. UK indies are smart operators, often run by young, web-savvy exiles from Waterstones who know what they are talking about. No, they remain cautious simply because they need convincing that the terms on offer from Kobo or UK wholesaler Gardners — at present the two chief players, now that Anobii’s plans have been delayed following its acquisition by Sainsburys — will make it worth their while. That was the message that came across many times in conversations with booksellers at the UK’s Booksellers Association Conference in Warwick last week week. No one would accuse Nic Bottomley, owner of the award–winning and wonderfully-named Mr B’s Emporium of Reading Delights in Bath, of not knowing how to run a successful bookshop, or of not being able to embrace change or come up with unusual marketing ideas. But even he hasn’t taken the plunge yet. Also, since Kobo is boosting its presence in WHSmith this month, with a roll-out of display tables and screens in the top 100 stores, more than one indie made the point that, as an independent, surely they should be differentiating themselves from Smiths. Kobo's Phil Wood working to convince reticent booksellers e-books are an opportunity, not an obstacle. So, all in all, a battle is on to win hearts and minds. 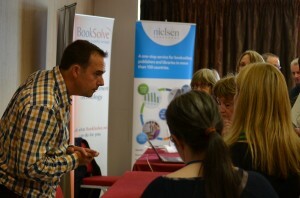 There was a huge amount of interest in Kobo at the conference, with UK Country Manager Phil Wood often surrounded by booksellers, but how many are actually signing up is another matter. He suggested “extended credit terms and different marketing models” for indies, and added: “I think it is crazy that for some booksellers it is cheaper to buy stock from other retailers, rather than the supplier. If publishers cherish the high street, this can’t continue.” To which publishers will reply that they do not give Amazon favourable terms; that Amazon is able to sell on the tiniest of margins — or even at a loss — because it enjoys huge volumes and books are just one of myriad goods it sells. And so the discussion goes on, as it has for some years now. In her speech, Mackenzie noted that e-book growth in the US had slowed dramatically, from 101% year on year in September 2011, to “only” 37% by April 2012, and that she believes we are heading for a “mixed economy of physical and digital reading.” To that end she noted “even with this hybrid world leading to smaller print-runs, we as publishers mustn’t let production standards fall — in fact, books probably need to become even more desirable as physical objects.” That chimed well with calls from indies in the break-out sessions for more exclusives, more special print-runs, more high quality, innovative “own me” editions only available through the independent sector. The conference was held at Warwick University which, like many such institutions, makes money in between semesters by renting out its facilities. So booksellers and publishers found themselves sharing halls with a conference on Pain Management, a juxtaposition that some might have found appropriate, given the tough times on the high street. Yet, curiously, despite the digital caution, despite Amazon, it was possible to sense a kind of optimism, too. A number of indies have opened in the UK in the last three years, and some have opened second branches, too. They are finding ways of connecting with fellow indies – Neale partnered with a cycle shop for example — and they are combining with local retailers to host their own mini-festivals or markets and becoming adept tweeters: Mr B’s has 3,000 followers for example. But, as ever, there’s another side. Neale has had to close his second branch due to poor sales and was open in saying that without the café and non-book product, he couldn’t survive. However, there are whispers of digital helping physical, too. At the conference, a number of indies noted times when Kindle users had said they had read a particular title as an e-book and now wanted to give a physical copy as a present. This may not be enough to compensate for the sales lost to digital, but does re-emphasise the gifting advantage that physical has over digital. Whether all this will be enough remains to be seen. Being a “community hub” or of “cultural value” — such phrases are heard a lot at these conferences — doesn’t necessarily pay the bills, whereas government intervention in terms of lower business rates for independent booksellers might have a more direct affect. Yet, people are still finding reason to leave professions like teaching or town planning — as well as chain bookselling — to sell what they love, in a physical environment. With a ‘go local/farmer’s market’ mentality growing in certain neighborhoods (often the more affluent), a tenuous route to survival can be seen. Meanwhile, on the digital front, with rumours that Nook might be available in UK indies next year (it comes to Foyles next month), there will further pressure on them to make a move. Needless to say, this story is far from over.